Police Scotland are investigating a report that the home of former Celtic and Liverpool boss, Brendan Rodgers, was burgled on Wednesday. Thieves broke into Mr. Rodger's home in East Dunbartonshire after 1:00am on Wednesday. Former Celtic boss, Brendan Rodgers. A Police Scotland spokesperson said no one was injured during the break-in and confirmed police had launched an investigation. "At around 01:55 on Wednesday 6 March, police received a report of a break-in at a property in Bearsden. 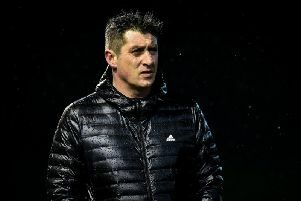 Rodgers is from Carnlough in Co. Antrim and won seven major trophies during his times as manager of Celtic from 2016 to 2019. Mr. Rodgers was unveiled as the new manager of English Premiership club, Leicster City, last week.